When Mitt Romney has anxiety or is insincere, he has a strong tendency to speak out of the right side of his mouth. This is an extremely common nonverbal tell and Mitt in particular needs some refining here. 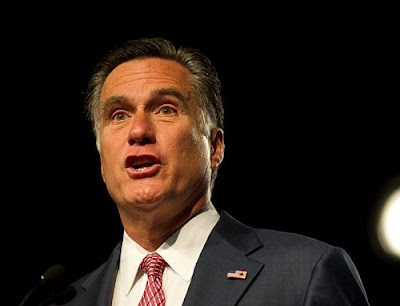 In this video, former Governor Romney is backpedaling away from earlier criticisms of the London Olympics. Indeed he feels emotional dissonance on this issue. Besides trying to dig his foot out of his mouth, this is also the first time that Romney is on foreign soil and viewed with international scrutiny - thus he's understandably a wee bit nervous. To the body language novice, such asymmetric mouth speaking must be distinguished from contempt (which Mitt Romney is not displaying here) as these two configurations can look similar.